Progesterone is a female hormone that plays a role in reproduction. The level of this hormone declines with age, which can cause symptoms. If your symptoms are severe your physician may prescribe medications that mimic the actions of progesterone. However, all types of medication can cause side effects such as heart palpitations, and heart palpitations can be caused by many factors. If you are experiencing heart palpitations it is best to seek medical attention to see if they are due to progesterone levels or another cause. Heart palpitation is a general term used to describe any abnormality in the heart rate or pulse. Heart palpitations are different for each person. Having palpitations may mean that your heart beats too slow, too fast, skip beats or feels like it is pounding, racing or throbbing. These sensations can be felt in the chest or neck. Palpitations can also be accompanied by feelings of uneasiness, trouble breathing or chest pain, notes the University of Iowa. 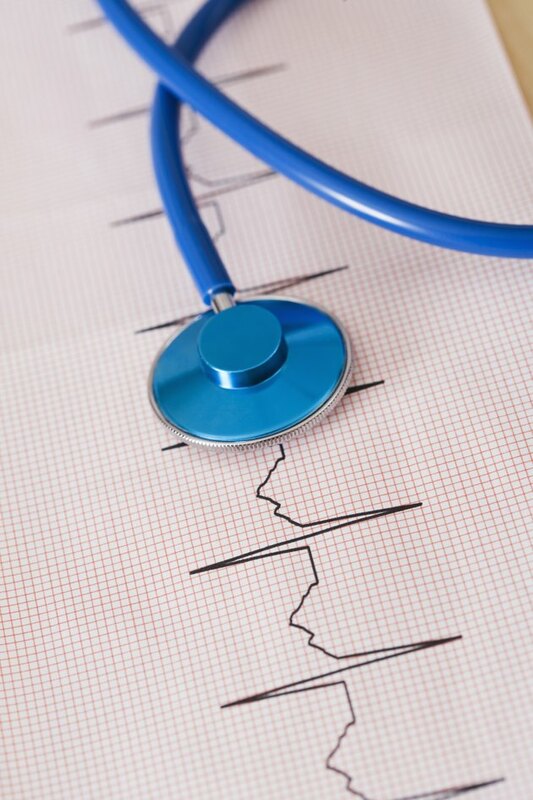 Heart palpitations can be benign or a sign of a serious underlying condition so they always need to be properly evaluated. Progesterone is a hormone produced by the ovaries that, along with estrogen, prepares a woman's uterus for a possible pregnancy each month and supports the fertilized egg if conception occurs. Progesterone also helps prepare the breasts for milk production and breastfeeding. Around age 50 women enter menopause, at which time the ovaries stop producing estrogen and progesterone so that pregnancy is no longer possible. Menopause and the period leading up to it affects each woman differently and some do develop palpitations, although it is not known if the palpitations are triggered by hormonal changes or other factors, reports the Harvard Medical School. However, what is known is that hot flashes, which are a common menopausal symptom, can affect the heart rate, in some cases increasing it by 8 to 16 beats. Hormone replacement therapy can help calm symptoms for some women, while others are unable to tolerate any medication. Hormone replacement therapy can cause a wide variety of symptoms including headache, upset stomach, changes in mood, fatigue and constipation. More serious side effects include changes in vision, trouble breathing, chest pain and a racing or irregular heart beat, says MedlinePlus. If you develop side effects, your doctor can alter the dosage and timing of your progesterone medication, which may help. Since so many factors can contribute to heart palpitations, only a medical exam can determine the exact cause. Vigorous exercise, not enough sleep, caffeine, stress, smoking and certain medications can all cause your heart rate to change, according to MayoClinic.com. Structural problems with the heart muscle or one of its valves, thyroid disorders and many other medical conditions can cause them as well. Your physician can run tests to determine the underlying cause in order to develop the best treatment approach. What Are the Side Effects of Progesterone in Females? What Causes Hot Flashes Besides Menopause?